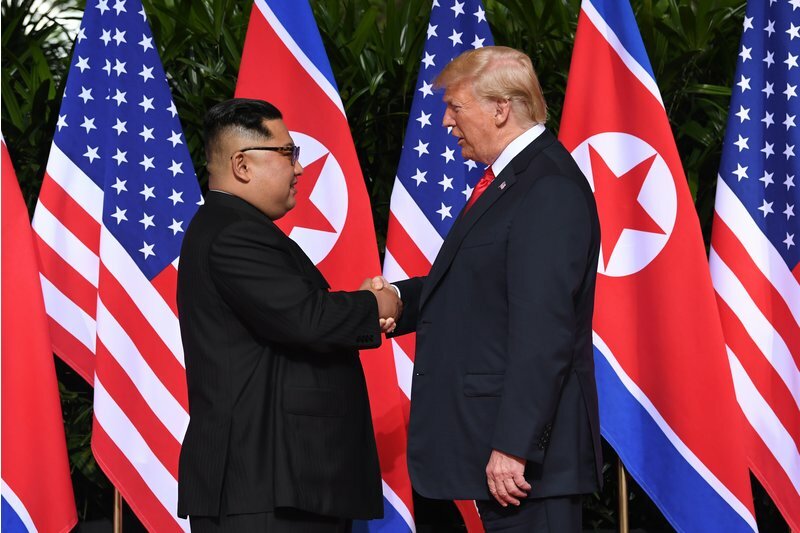 Prospects for peace on the war-torn Korean Peninsula got a big boost at the historic summit just concluded between US President Donald Trump and North Korean leader Kim Jong Un. The US president also said in response to a reporter’s question that there could be a pullback of US troops in South Korea, depending on how well the negotiations for denuclearization are proceeding. The US has some 35,000 troops in South Korea and a large number of military bases. Trump and Kim seemed to get along and the atmosphere at the summit by all appearances was positive. The new atmosphere is also an improvement over the period of icy relations between the two countries during the administrations of Presidents Barack Obama and George W. Bush. Of course, as many critics have already pointed out, there is no certainty that this summit will really lead to anything, since North Korea has pledged in the past to scale back their nuclear program, and then reneged on it. It will obviously take a long time -- many months and possibly years -- before a solid agreement will be worked out, outlining both a verifiable program of denuclearization by North Korea and the guarantees the US will provide to ensure North Korea's security. But Trump indicated that negotiations on details of a full agreement are set to begin very soon. Trump --- with a big assist from South Korean President Moon Jae --- deserves credit for making this summit happen and moving US-North Korea relations onto a positive track. There is ample reason to criticize Trump as a president for his handling of numerous issues, particularly on the domestic side, but he’s done a good thing at this summit and taken a big step towards dealing with one of America’s most intractable problems in foreign affairs. Let’s hope the summit fulfills its promise and finally brings peace and more prosperous times to the people of both North and South Korea. Time will tell.